I’ve always had a passion for fitness, nutrition and natural health. At 56 I still play Premier League Squash, run or work out daily and take numerous supplements including, Qsilica PRO-COLLAGEN, magnesium and spirulina. Outside of the industry, I have a passion for everything Art Deco and Classic Cars. My wife Mandy and I are the Directors and Co-Founders of Qsilica. 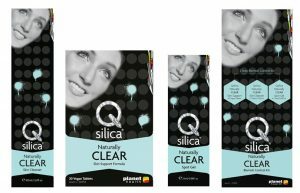 Now in its 10th year, Qsilica launched in Australia in 2006 and is now the market leading premium natural skin, hair and nail brand in Australia, promoting ‘Beauty from the Inside Out’. Our 10-year anniversary celebrations co-inside nicely with the official launch of Qsilica into the UK. Qsilica is now readily available in the UK and growing fast; because of this, and the British / European lifestyle, we are now proud citizens of both the UK and Australia. 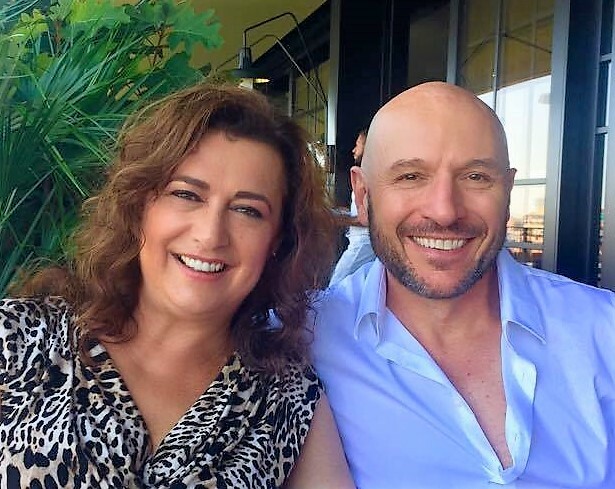 After 10 years at Blackmores in Australia (Australia’s Number 1 brand of food supplements), I resigned from my role as National Sales Manager to start Planet Health, a ‘distribution company like no other’. We prepared our business plan and confidently asked the banks for a loan to get us started. Unfortunately, they all told us to come back in 3 years once the business was established. Mandy and I urgently accumulated what funds we could, which included the sale of my precious 1961 Jaguar MK 11 (‘Inspector Morse’ style). This was my company car at Blackmores and was given to me on my departure, however our priority was to raise the funds to buy some initial stock of products and to back our belief in our business plan. We started off sharing a small warehouse with the first brand we distributed, and with subsequent rapid sales growth we quickly moved to our own larger premises and then started hiring team members. The business started with just Mandy (also ex-Blackmores management!) and we now proudly employ over 30 team members. In 2006 we decided we had enough knowledge and experience to launch our own natural health brand and since then it’s gone from strength to strength. Qsilica has exceeded our expectations as an award winning, market-leading natural beauty brand in Australia and beyond. I started studying at University for a degree in Actuary, however halfway through my course I realised I was far better suited to a career in sales & marketing. Once I started successfully working in sales, I decided I wanted to work in an industry I was passionate about and applied for a job in the Natural Health Industry as a Sales Representative. 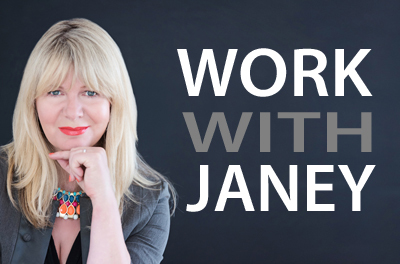 I ended up working with market leaders Blackmores, and as I say, after a successful 10-year career in sales, marketing and senior management, we decided to launch Planet Health and Qsilica. The impact of drugs and chemicals on humans and the environment is huge. The running costs and the state of the NHS are largely the result of poor diets and the reliance on drugs and medication. Whilst medication is often lifesaving for many, there is too much dependence on antibiotics and other pharmaceuticals today. There needs to be more focus on prevention via lifestyle improvements. I have personally avoided medication all my life and I only take natural food supplements. I can’t remember the last time I had antibiotics… over 30 years ago? We have a passionate dislike for the unnecessary use of chemicals in foods, beauty products, cleaners or anywhere there is a natural alternative (there always is!). We are against all forms of animal cruelty and have been pescatarian for the last 20 years. On the sustainability front, Qsilica is a voluntary member of the Australian Packaging Covenant and supports smarter packaging, reduced waste and a cleaner environment. 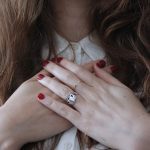 Rather than offering a ‘catalogue’ of products, Qsilica offers a core selection of premium natural supplements and skin care at affordable prices. 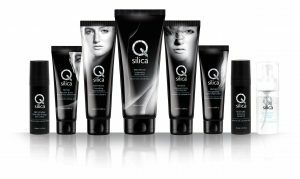 We source only naturally derived and botanically based ingredients for each Qsilica product and passionately ensure every product is of the best quality and contains the most effective ingredients for maximum results. There are no use of harsh chemicals or petrochemicals in Qsilica and we NEVER test on animals, use animal ingredients or support any form of animal cruelty. Our key ingredient is the mineral ‘silica’. Naturally occurring in quartz crystal, it contains strengthening, rejuvenating and health-giving properties making it an essential ingredient for healthy skin hair and nails. The name Qsilica and our logo both feature the letter ‘Q’ – in respect to Quartz Crystal and the amazing mineral silica derived from it. We’ve officially just launched Qsilica into the UK with great stockist presence both in shops and online and some amazing support for the UK media. We’ve had an incredibly successful 10 years in Australia and we feel we’ve perfected the range ready for the rest of the world. We’re now excited to establish the brand in the UK and we’re eager to see which products are going to prove personal favourites here. To own a majestic Art Deco Hotel in Lugano, Switzerland (or on the Italian Lakes), offering a Luxury Spa with Qsilica products and a restaurant serving ‘Michelin Star’ healthy eating complimented by premium organic Wines.